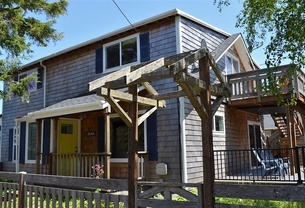 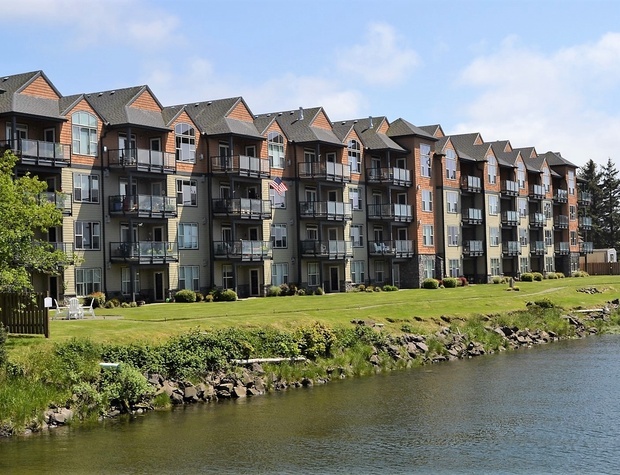 Lovely riverfront and spacious condominium (approx 1300 sq ft) built in 2006 with with incredible river views and easy beach access; about 5 min walk to beach. 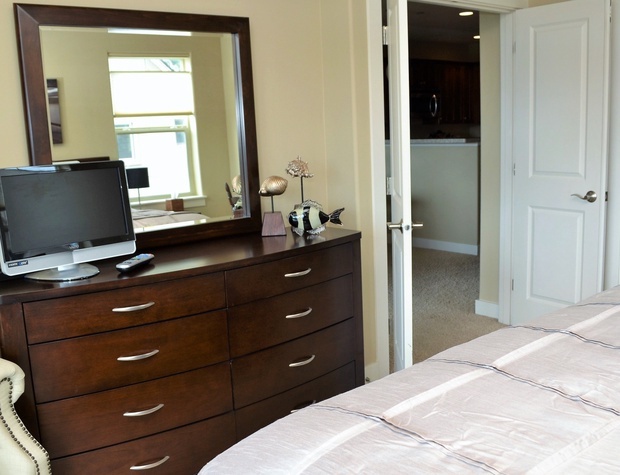 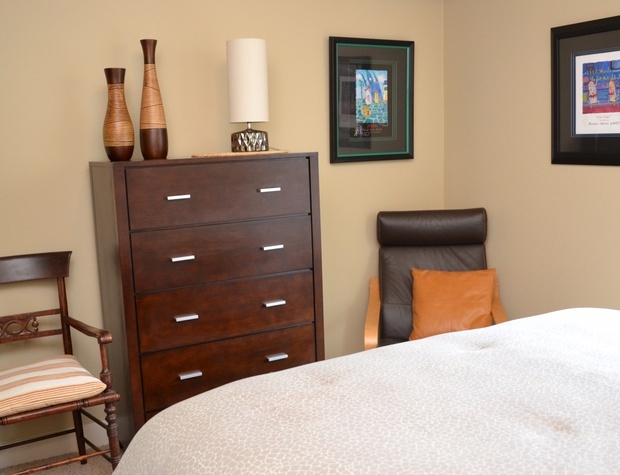 Lovely second floor corner unit, very tastefully decorated and very comfortable. 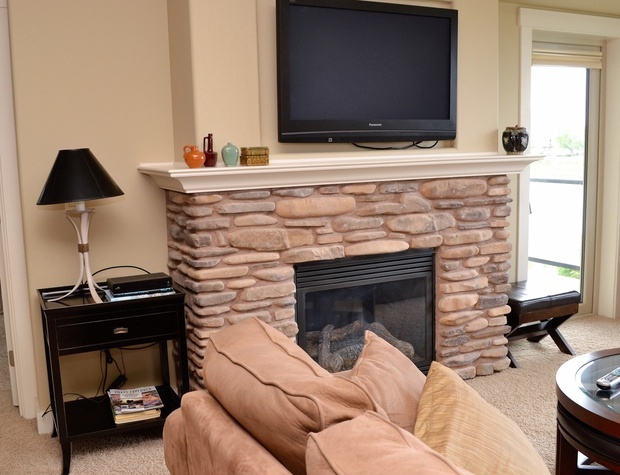 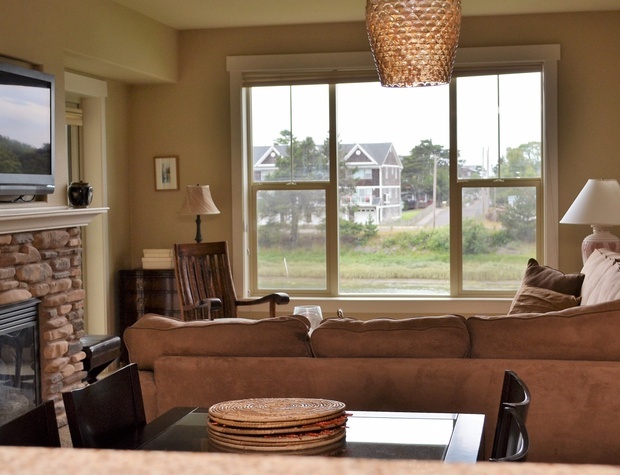 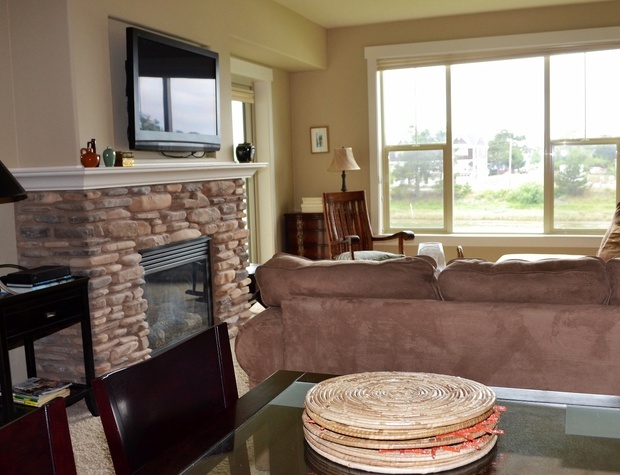 Relax and enjoy easy gas fireplace, flat screen TV with cable and peaceful views. 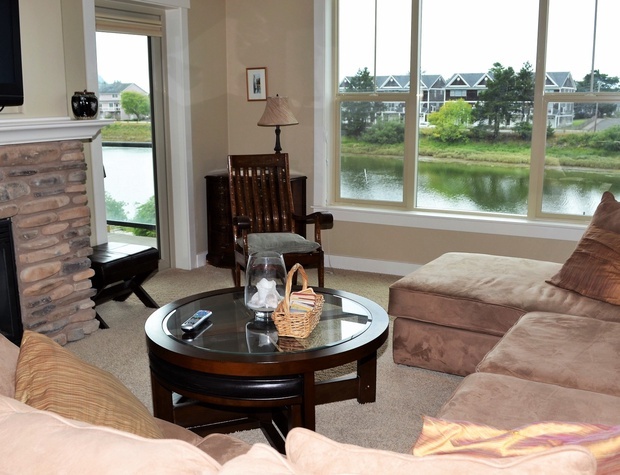 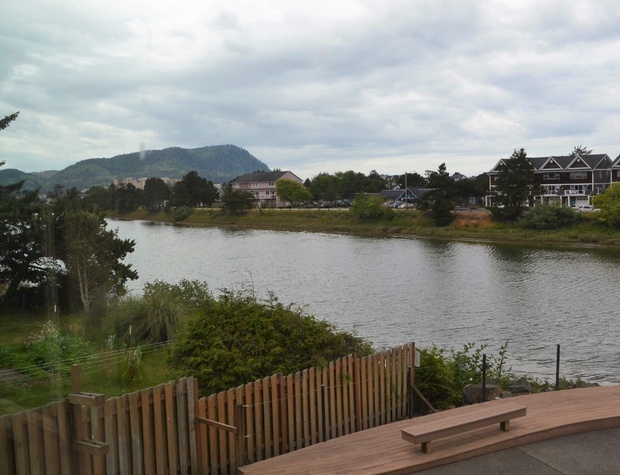 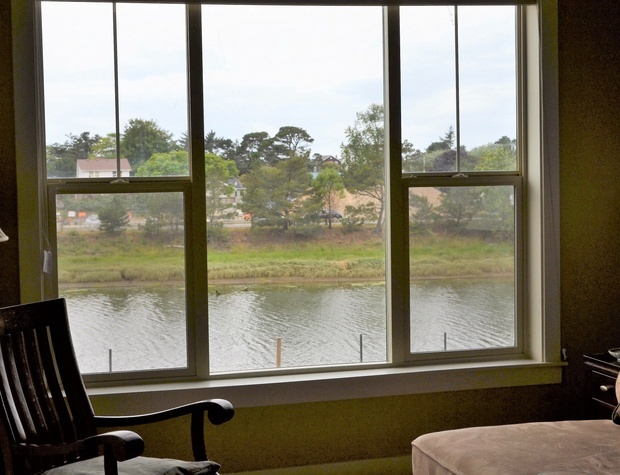 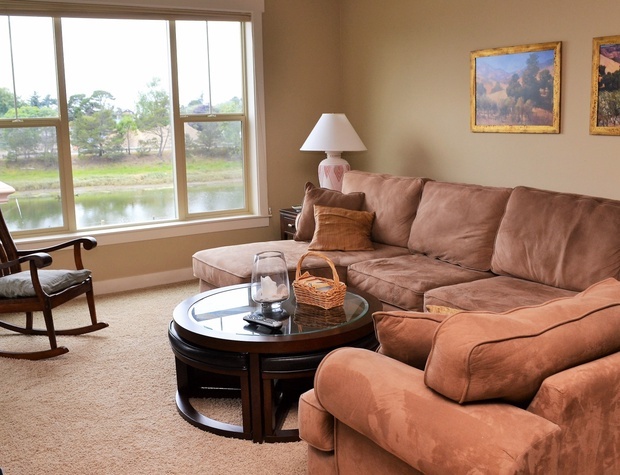 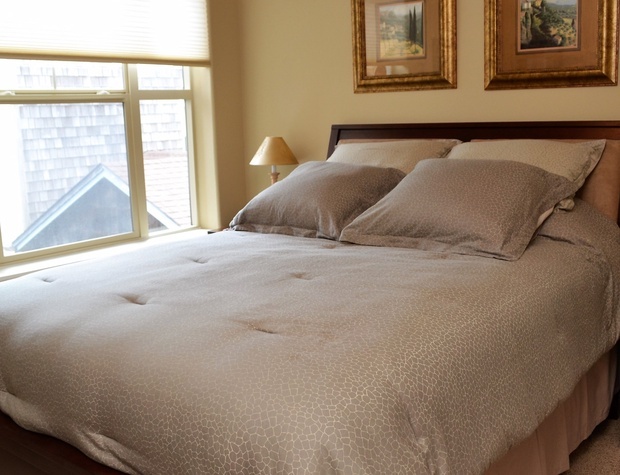 Master bedroom has a King bed with River and Tillamook Head views; flat screen TV. 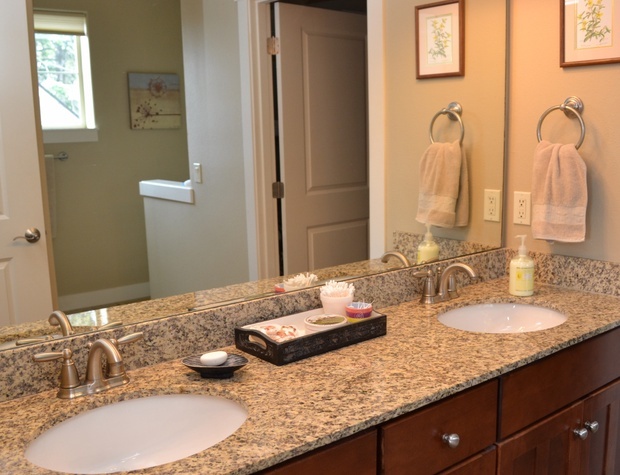 Master bath has a Jacuzzi tub/shower combo with granite counter tops. 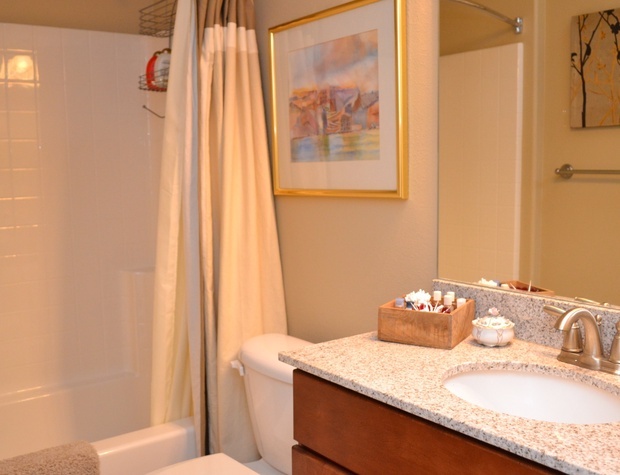 Second bedroom has queen bed with 2nd bathroom just adjacent and off the hall with tub/shower combo. 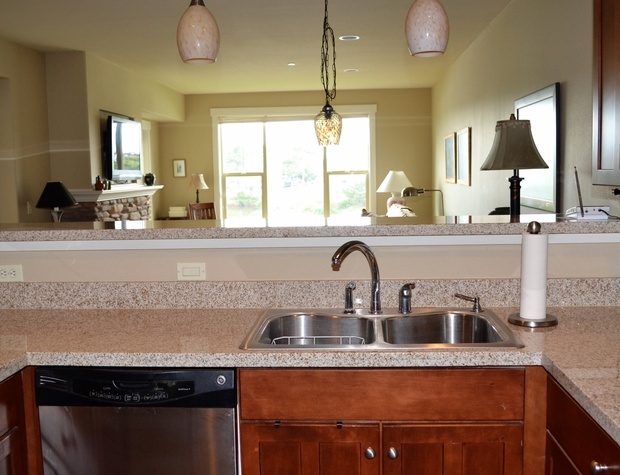 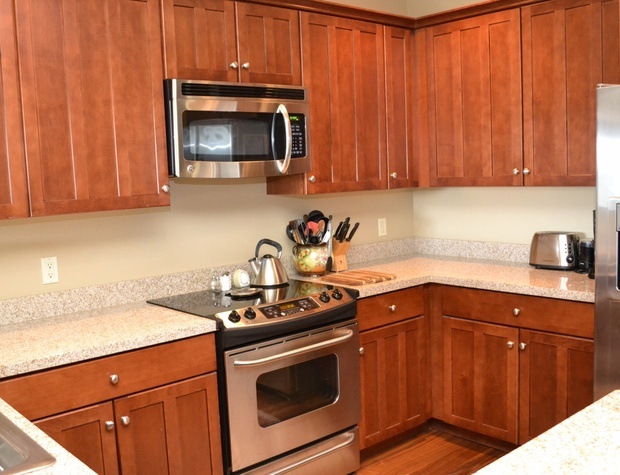 Kitchen is fully appointed with new stainless steel appliances and granite counters. 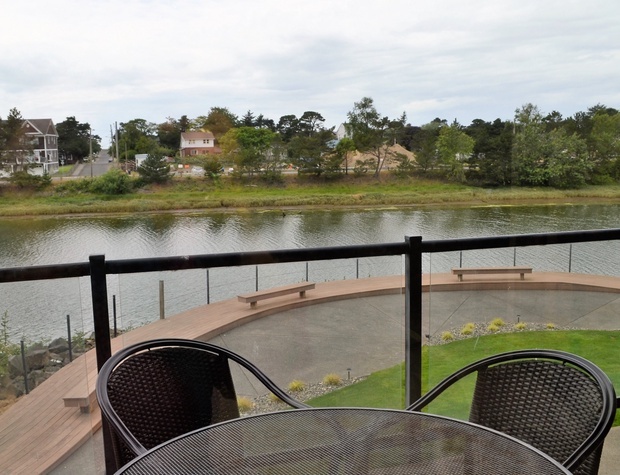 Balcony with views up and down the Necanicum River. 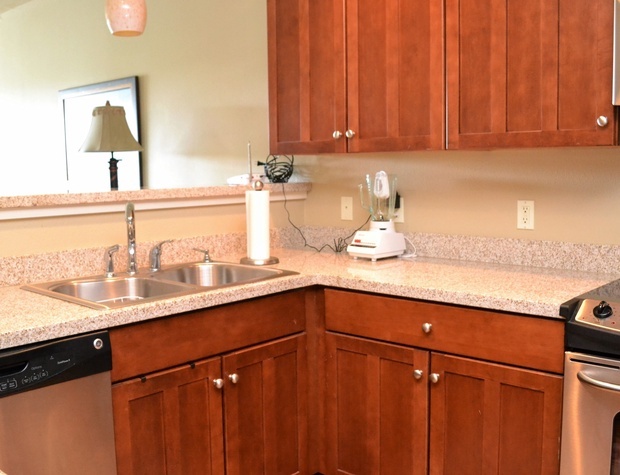 Utility room with washer/dryer in the unit as well. 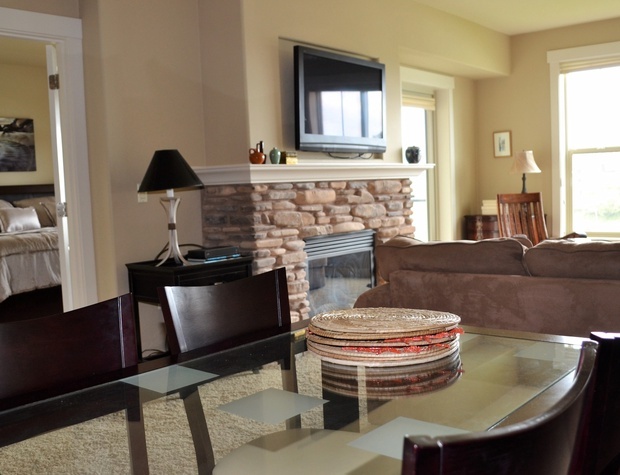 Walking distance to just about anywhere in town. 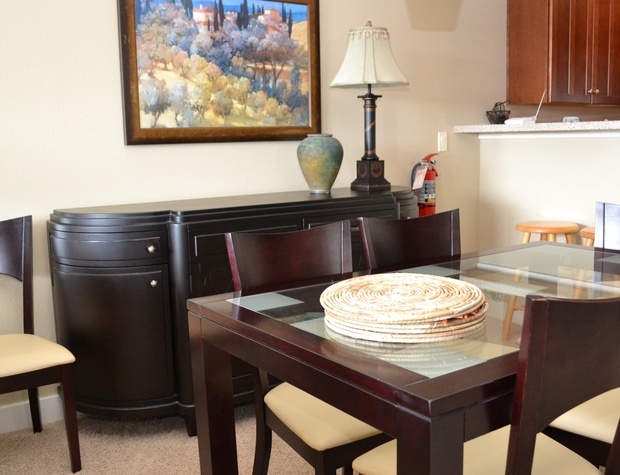 Gated parking for 2 cars only, (one is covered parking space) no smoking or pets.